The growth of online analytic tools like Google Analytics has drastically changed how executives think about market research. With the ability to access more data than conceivable just a decade ago, research using qualitative analysis is now taking a backseat to quantitative analytics. How is your company viewed in the industry? Is your brand recognizable by decision makers? Do you need to change your sales process? Are you meeting the needs of your priority customers? 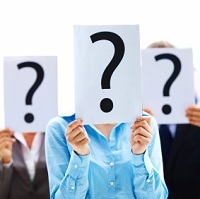 Answering these questions regularly is essential for any company to experience success. They allow you to find your current position in the industry, as well as gain knowledge on a prospective buyer’s needs, feelings, perceptions, and opinions. With online analytics transforming research and competitive intelligence, companies feel pressured to ride the growing trend to ensure they are not falling behind. And I agree; making full use of tools such as Google Analytics help companies strategically position themselves for success. However, as times change and businesses become more automated, it’s important to remember that not all business problems can be solved by data—especially when there’s a shortage of data or a shortage of time to analyze the data. And both of those situations are very common in B2B environments. An integration of multiple tools leads to much better results—the combination of insight (from qualitative research) and data (from quantitative research). Companies that are able to adopt the new without forgetting the old will be the ones most likely to succeed.